The remaining board of directors at The Weinstein Company said the decision was made "in light of new information about misconduct by Harvey Weinstein that has emerged in the past few days." Weinstein is Hollywood royalty. He produced "Shakespeare in Love," which won the best picture Oscar in 1999, and "Gangs of New York," which was nominated in the same category in 2003. Other hits include "The King's Speech" and "Django Unchained." Weinstein's brother Robert, who goes by Bob, was one of the board members who made the decision. 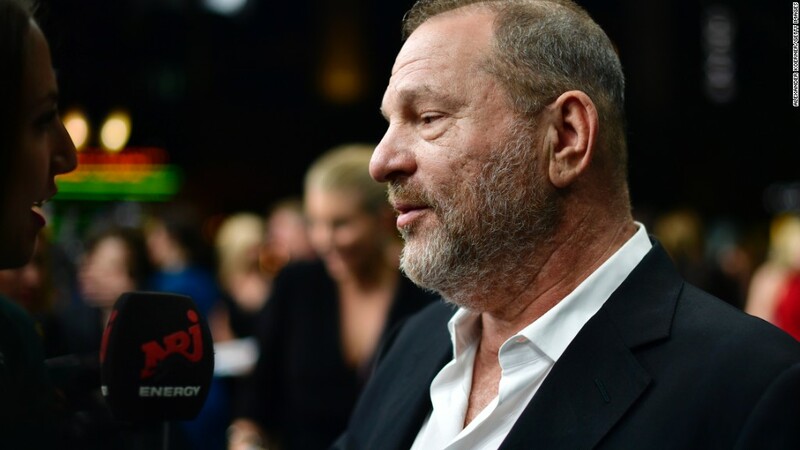 "The directors of The Weinstein Company -- Robert Weinstein, Lance Maerov, Richard Koenigsberg and Tarak Ben Ammar -- have determined, and have informed Harvey Weinstein, that his employment with The Weinstein Company is terminated, effective immediately," a statement from the company said Sunday evening. Back then, two days ago, the remaining board members said they supported Weinstein's choice to take a "leave of absence," and they left the door open for him to return to the film company someday. "Next steps will depend on Harvey's therapeutic progress, the outcome of the Board's independent investigation, and Harvey's own personal decisions," they said. "My understanding is that Mr. Weinstein and his board are moving toward an agreement," Bloom tweeted on Saturday. Indeed, discussions between Weinstein's attorneys and the board were underway up until Sunday afternoon, according to a source with knowledge of the matter. Those discussions ended with Sunday evening's announcement. All of this was prompted by Thursday's Times expose, which revealed the powerful film producer has faced many accusations of sexual harassment spanning decades. He reached at least eight settlements with women between 1990 and 2015. Weinstein's behavior had been the subject of whispers in Hollywood for decades. But he was mostly able to keep the allegations out of the press until this year. "I cannot be more remorseful about the people I hurt and I plan to do right by all of them," Weinstein said in a statement. Weinstein's approach helped "Shakespeare in Love" unexpectedly earn best picture honors over Steven Spielberg's "Saving Private Ryan." There, they saw success with films like "Silver Linings Playbook," "The King's Speech" and "Django Unchained." The company's recent films include "Lion," "Gold" and "Wind River."